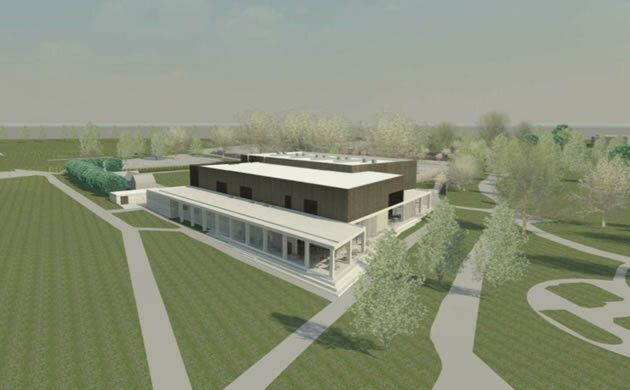 Gunnersbury Friends have expressed some disappointment with the design and other aspects of the proposed Gunnersbury Sports Hub, which form part of the multi million pound restoration of Gunnersbury Park. they are fully committed to ensuring that Gunnersbury remains a park which supports sport, leisure and recreation for the citizens of both boroughs, and are very pleased that so much work has been invested in helping to restore its capacity to do this. However they raise several points relating to the proposals; The design "does not match the expectations we are entitled to have of a new building in a Grade 2* Listed Park and Conservation Area." 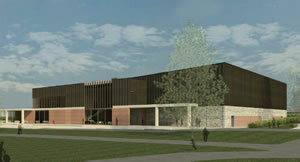 The Friends do not approve of the size, form and silhouette of the proposed structure of the sports centre. "Its very large solid rectangular facades are urban, even industrial, in form and style and do not transplant well into a complex planted landscape of open parkland." Their second objection relating to the design of the building concerns the materials proposed, specifically the black cladding design for the upper floor. They are also concerned about the dominance of the building in its current location. "The three fenced areas, two with floodlighting, will have a substantial impact upon the appearance and upon public enjoyment of the open field area and have a major visual impact." On the provision of cycling, there appears to be a disparity between the Cycle Routes proposed within the Council's plans and the current ban on cycling as the Friends point out; "The Park’s Bye-laws clearly state that cycling is forbidden". And in relation to increased provision of car-parking, the Friends state that they have found "considerable unease not only about the scale of the proposed expansion of the parking area but also about the greater risk to pedestrians from increased traffic through the Pope’s Lane gate." In their Response to the two planning applications made to the Hounslow Council, the Friends note that the application is for more than restoration of the status quo. It is for a new building in Metropolitan Open Land which, amongst other things, will provide indoor sports for which parkland is not essential, and for rentable office space. The Friends also say they have been unable to find any provision in the planning applications for for an opportunity to exercise with some equipment to be provided for use by people of all ages without charge. "We note in the Planning Statement (p.4.5) that the option of providing health and fitness facilities to bring in a revenue stream is being considered. If this is instead of open and free provision, it does not match the assurances given in public consultations." Their response can be read in its entirety in their latest newsletter. The applications are for a new two storey building on the site of the redundant bowls green. 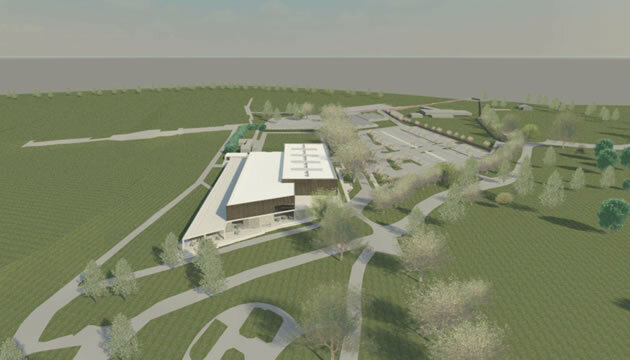 It will have a five-court sports hall, changing rooms for all the external sports facilities, will contain office and community hall provision, along with new natural grass sports pitches for rugby, cricket, artificial grass pitches and tennis courts. The second application, for listed building consent for a joint application for the redevelopment of the redundant bowls green, playing fields and garden nursery depot and existing car-park sites. There are 86 supporting documents for the first one and 43 for the second one. The park will remain open while the first phase of the project – a £21 million transformation of the mansion house is carried out, but the museum will be closed until 2017. The project, which is being joint funded by Hounslow Council, Ealing Council, the Heritage Lottery Fund and the Big Lottery Fund, will transform Gunnersbury Park and Museum into a major local, national and international centre of learning. The museum will shine a light on the history of the area, its agricultural heritage, industrial past, urbanisation and multicultural wealth. Once completed, the £40 million regeneration of the site will be home to a first-class sports hub, with indoor and outdoor facilities, eight floodlit tennis courts, eight grass football and rugby pitches and three cricket pitches. Throughout the park historical features such as the landscaped gardens will be restored to their former splendour. The grounds contain 17 listed buildings – four of which are at-risk Grade II-listed outbuildings and will be preserved for posterity.